A wine-tasting experiment finds that in judging one item against another, the first and last have a distinct advantage over those stuck in the middle of the pack. For actors at auditions, musicians at competitions or anyone else whose work is sequentially judged against that of others, a nagging question often arises: Would I rather be the first person to be evaluated, or the last? New research suggests both have their advantages, and either is far preferable than being stuck in the middle. That&apos;s the conclusion of a study of the effects of position order on preference, just published in the journal Psychological Science. "We found that early items always have an advantage, and later items have an advantage in longer sequences, especially when the choosers are knowledgeable about the choice options," writes lead author Antonia Mantonakis, assistant professor of marketing at Brock University in Niagara, Canada. In an attempt to ascertain a clear answer to the question of which location in a sequence is most advantageous — an issue that has divided researchers in the past — Mantonakis and her colleagues devised a delicious experiment. Via advertisements, they recruited 142 students and members of the community in the Niagara region to participate in a study in which they would taste locally produced wines. Participants were randomly assigned to taste sequences of two, three, four or five samples. Although they assumed they were tasting various vineyards&apos; versions of a varietal (Riesling), the 20-milliliter samples were, in fact, the exact same wine. After the tasting, participants were asked to name which one of the samples was their favorite. They then completed a questionnaire in which they revealed their level of expertise regarding wine. The researchers found the first sample enjoyed a major advantage, receiving a disproportionate number of thumbs-ups across the board. The last sample was also more likely to be chosen, although only by participants who considered themselves knowledgeable about wine, and only in the longer sets of four and five options. Mantonakis and her colleagues believe this is the result of two biases at work: a first-is-best bias, which was documented in a food-judging test in the late 1980s, and "a bias in favor of each new wine among high-knowledge participants." "Compared with the low-knowledge participants, the high-knowledge participants were more persistent in looking for a better wine later in the sequence — a plausible result of greater expertise," they write. "Thus, high-knowledge participants were likelier to make a comparison between their current favorite and the new wine when each new wine was sampled. Thus, there was a substantial chance that each new wine would beat the current favorite." Unlike the wine samples in this study, dancers auditioning for a chorus line differ in their abilities and training. So it&apos;s entirely possible a virtuoso in the middle of the pack could stand out. But this research finds savvy judges typically evaluate the next in line against their favorite to date. This suggests the last person (or thing) to be assessed has essentially only one competitor, and thus has an increased chance of being chosen. It&apos;s something to think about during your next trip to a tasting room — or during the commercials of American Idol. Wines made from organic grapes are often high-quality, but a new study suggests the eco-friendly label is a turn-off. New research finds middle-aged men are most willing to engage in competitive risk-taking. 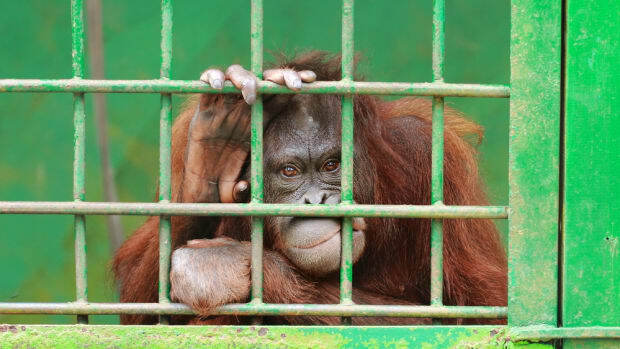 A new study finds chimpanzees and orangutans in captivity appear to be the least happy in middle age.